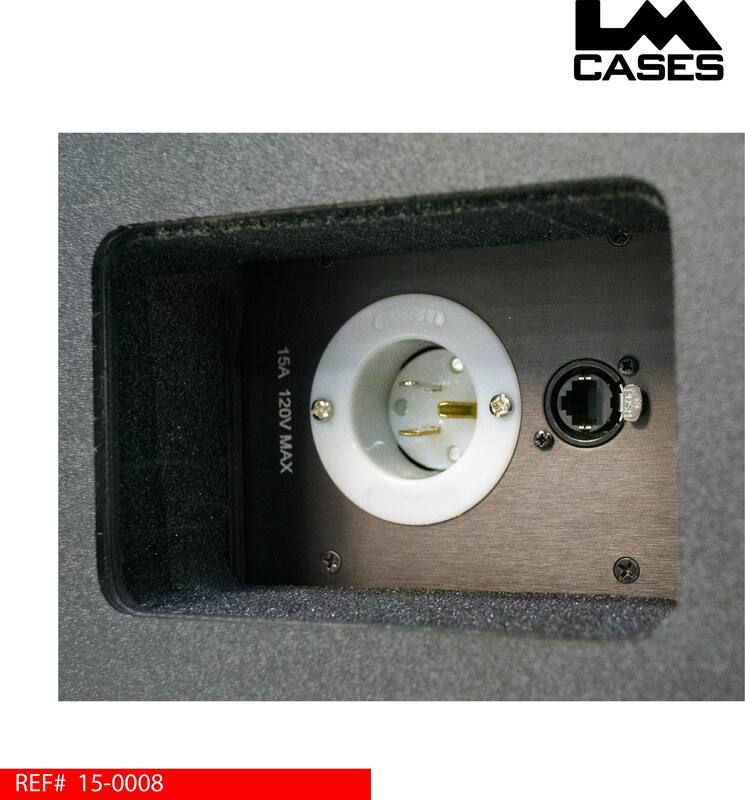 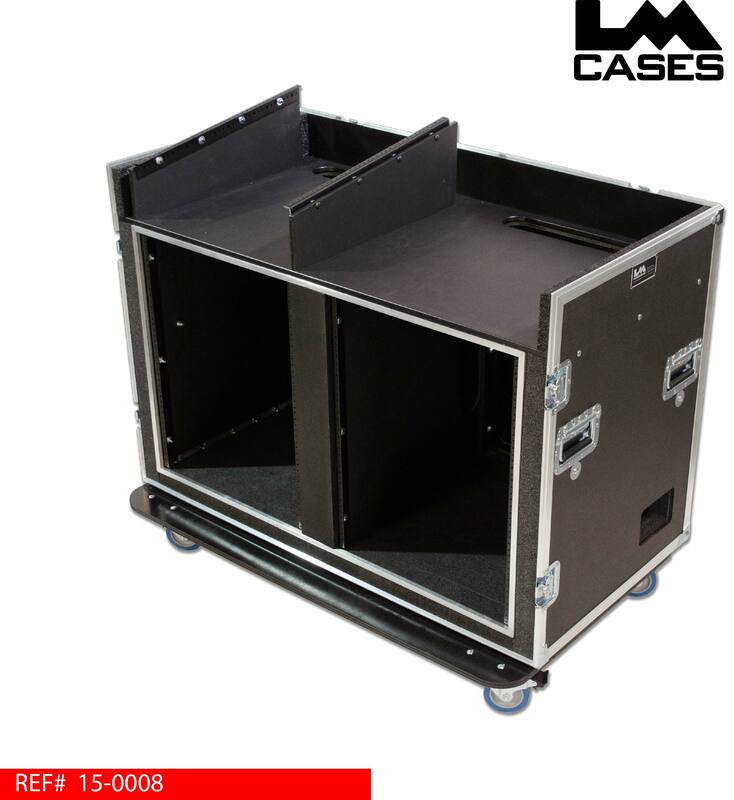 This case was designed for United States Audio Visual. The top work surface of the Yamaha QL1 Double Wide Mixer Workstation features a 15RU angled rack section built out of 1/2" marine grade plastic that holds the console. 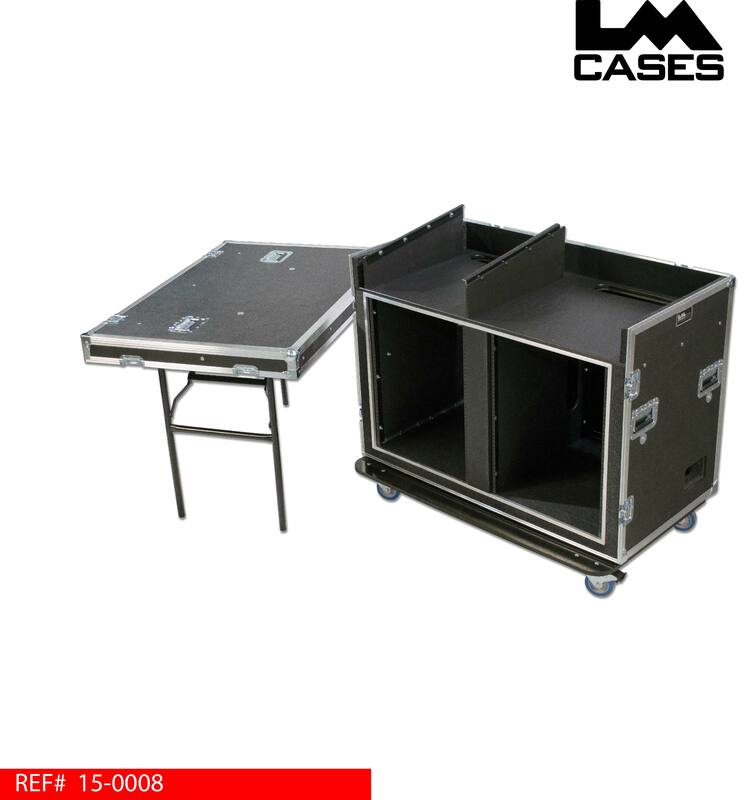 To the right of the console is a large work surface that can accommodate a small lighting or video controller or provide for a stage manager to call a show. 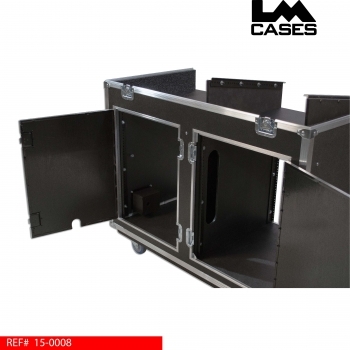 Below the console are two fully shock mounted 14 space racks with rear rack rail and independent rear trap doors. 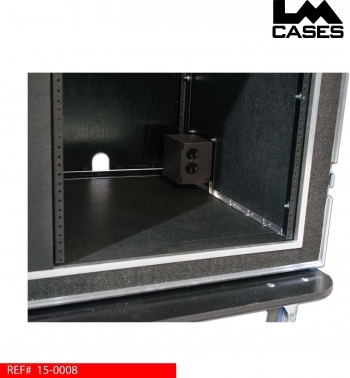 Each rear trap door features a "mouse hole" allowing cables to remain plugged in while the doors are closed. The right rack section features a recessed Hubbell power box that features a power inlet wired to a Hubbell duplex outlet and a Neutrik cat5 jack. 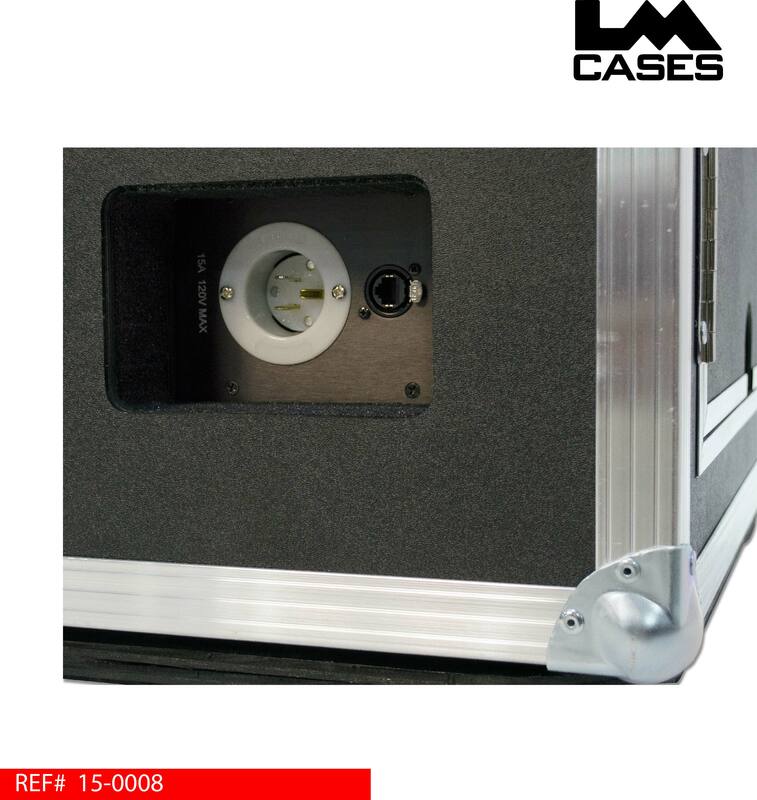 The box provides a fully enclosed solution for providing power to the case and supplying a digital snake feed line. 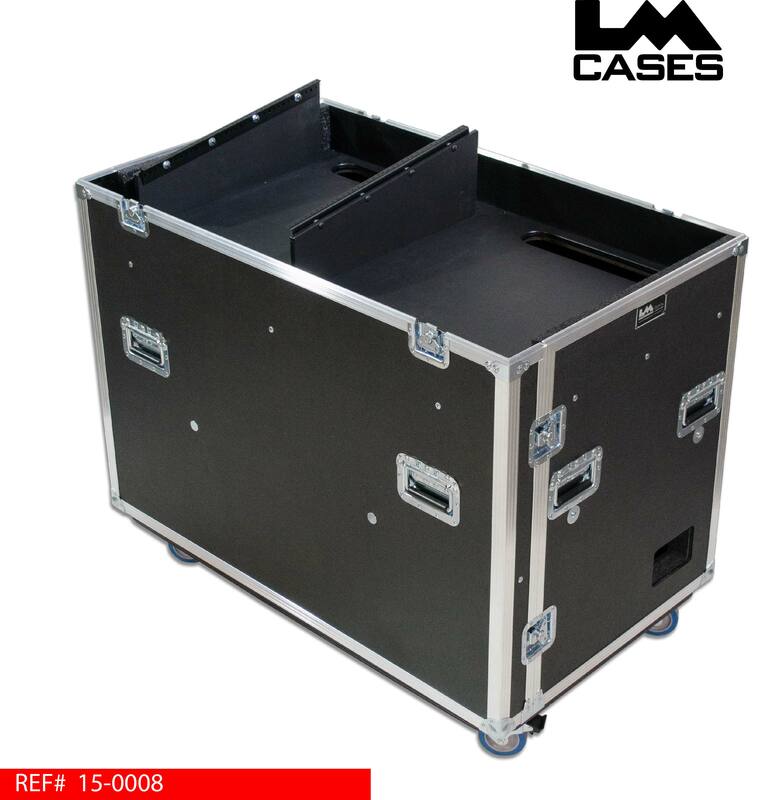 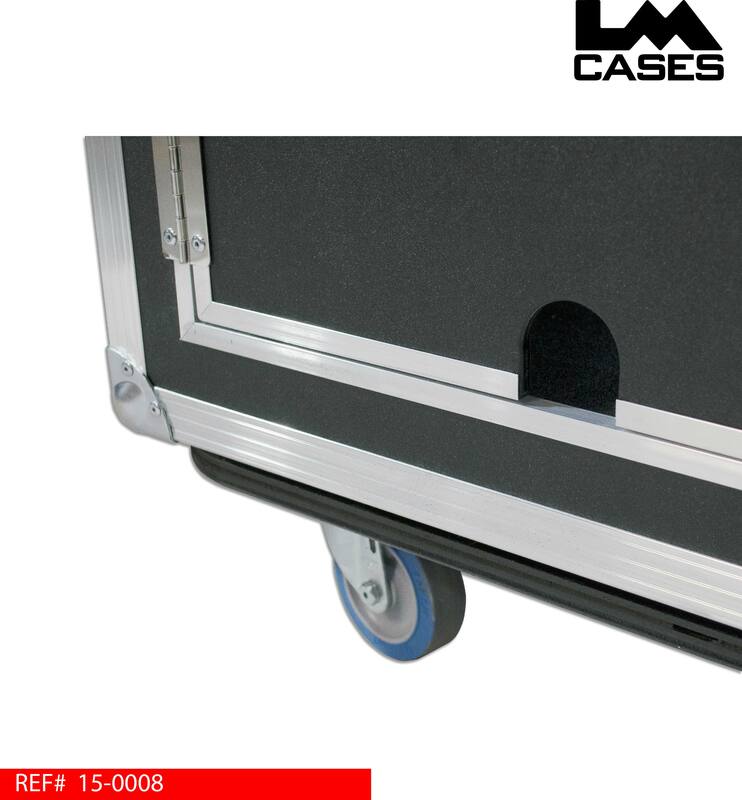 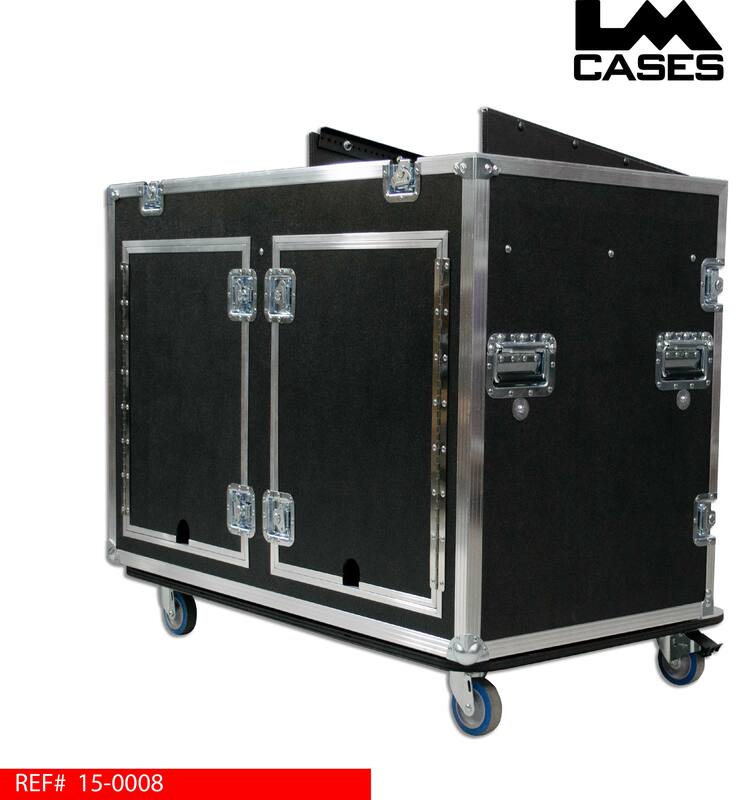 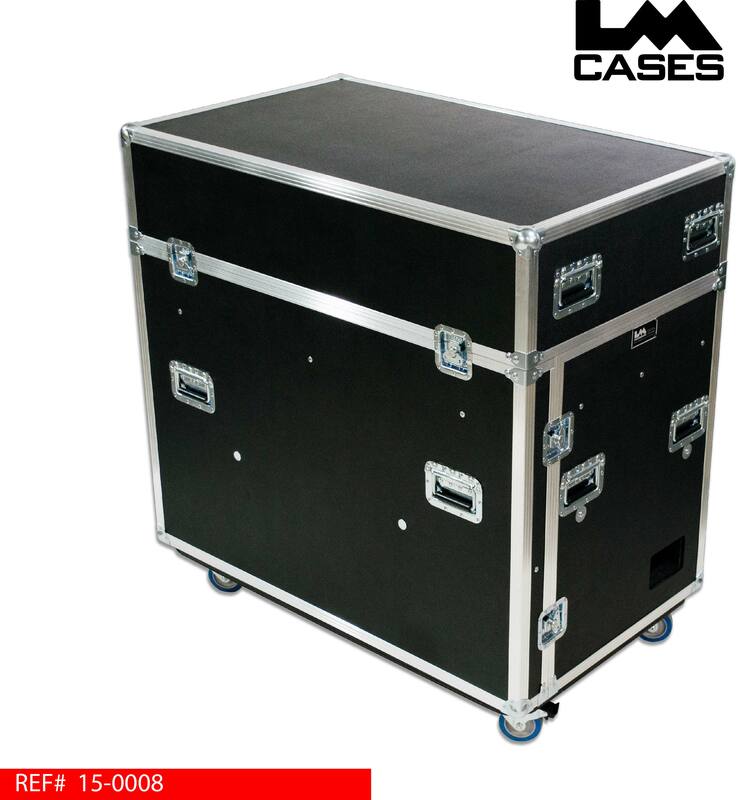 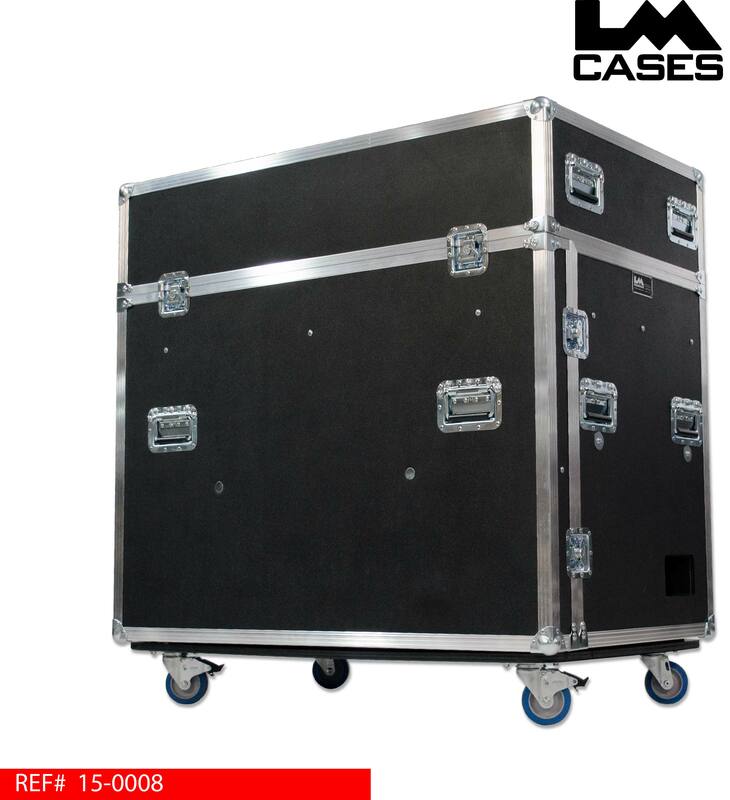 The case exterior is built out of 3/8" plywood and features 10 deep recessed handles and 4" Colson casters (2 Locking + 2 Non). 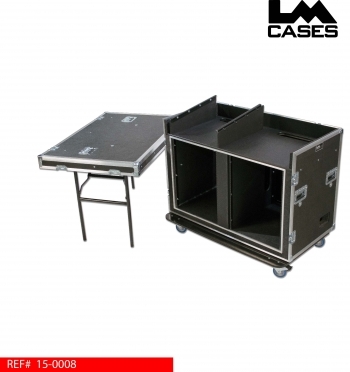 The front lid is removable and features table legs.